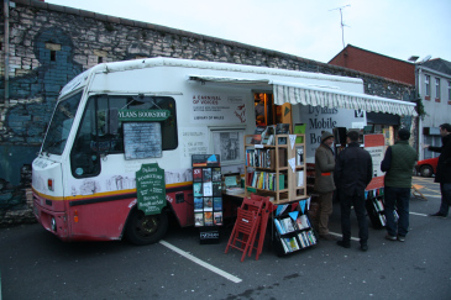 This incredible bookbus is founded by sixty-six year old Jeff Towns, a reading enthusiast, currently residing up above the Mumbles in Swansea (in a house once owned by Dylan Thomas’ uncle, believe it or not!). 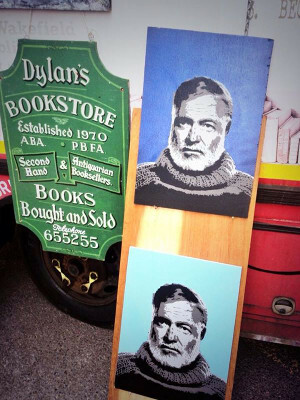 However, you will find the bus at Uplands Market in Swansea every month. 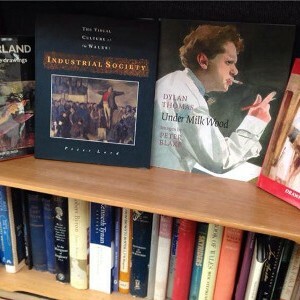 The theme, as you can probably tell, centres around the fantastic writer and fascinating character, Dylan Thomas. 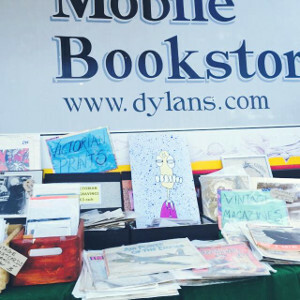 After settling in Swansea in 1969, Jeff opened a bookstore called Dylan’s Bookstore. 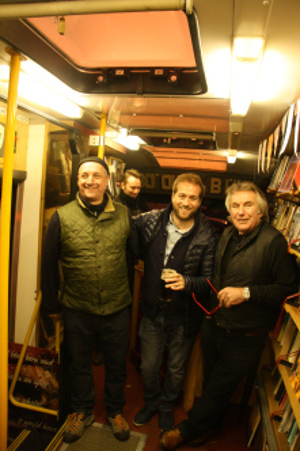 However, unfortunately (or should we say fortunately) in more recent times the number of visitors to the bookshop declined – and so Jeff decided to do something about it, and so the unique bookbus was born! 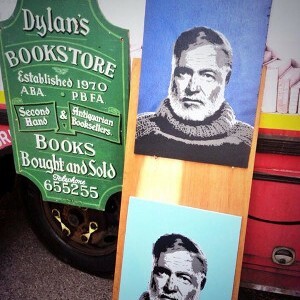 The founder’s loathing for the rise of internet bookselling must come as no surprise, and he was propelled by his desire to find out more than mere credit card details about his customers. The types of books you will find on the bus vary from time to time, event to event. 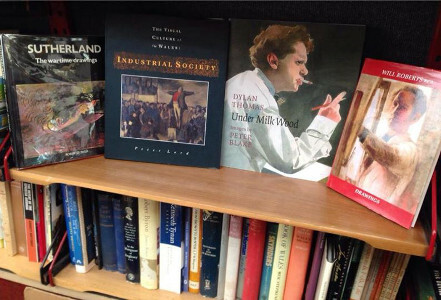 As you can expect they sell Dylan Thomas themed books, as well as Welsh books – and they have partnered with Parthian Books, featuring a “Library of Wales” collection. 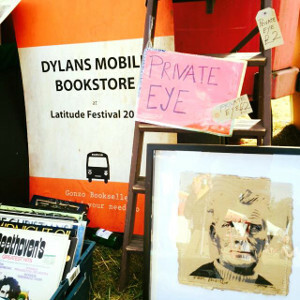 There’s no telling what else you will find upon the bookbus, as they stock an interesting ranged of used and rare books across all subjects. 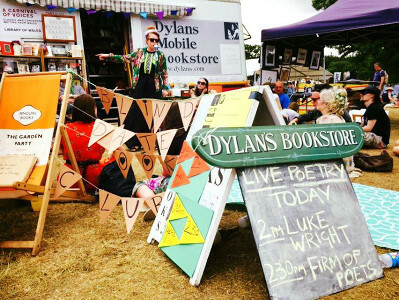 The theme also changes from event to event, for example when it was parked up at the National Eisteddfod they featured mostly Welsh language books, but while at a Counter Culture festival it will stock up on books relating to rock n’ roll, philosophy and travel. 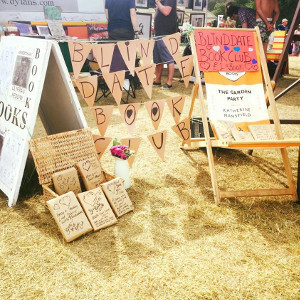 The bus has also launched a new literary magazine called “The Blackheath Counter Cultural Review” created by Blackheath Books Press – the owner and his son have contributed some articles. The greatness of the bus can be reflected by the amount of great people who have stepped on board, including – Gruff Rhys, Charlotte Church, Rhys Ifans, Joe Dunthorne, Arthur Smith, Thurston Moore, Pete Wylie, Sianie Rhys James, Sir Peter Blake, Molly Parkin, Alexis Sale, John Cooper Clarke, Chalkie Davie, and the artist Gavin Turk who came on dressed as a tree! 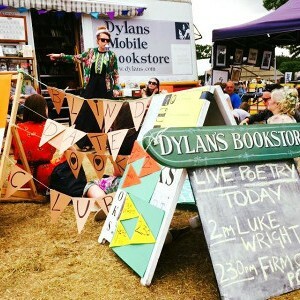 The bus also hosts readings, and has had comedian Katie Mulgrew reading bedtime stories (such as the well-known Gruffalo) on board the bus at Latitude last year. 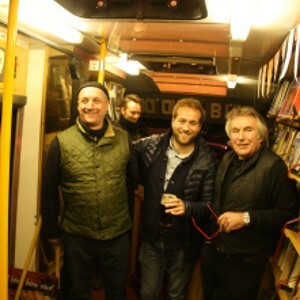 ‘Bookbus Live’ also sees acoustic musicians and poets doing little gigs. 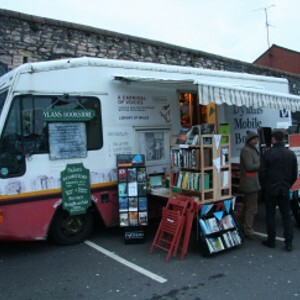 For Jeff and the bus, not to read, is not to live fully – describing it as ‘such a cheap and unobtrustive pleasure and an entry into new world and knowledge.’ So if you are ever so lucky as for this bookbus to come to you (or if you are ever in Swansea), don’t miss the opportunity to take a literary trip aboard Dylan’s Mobile Bookstore!